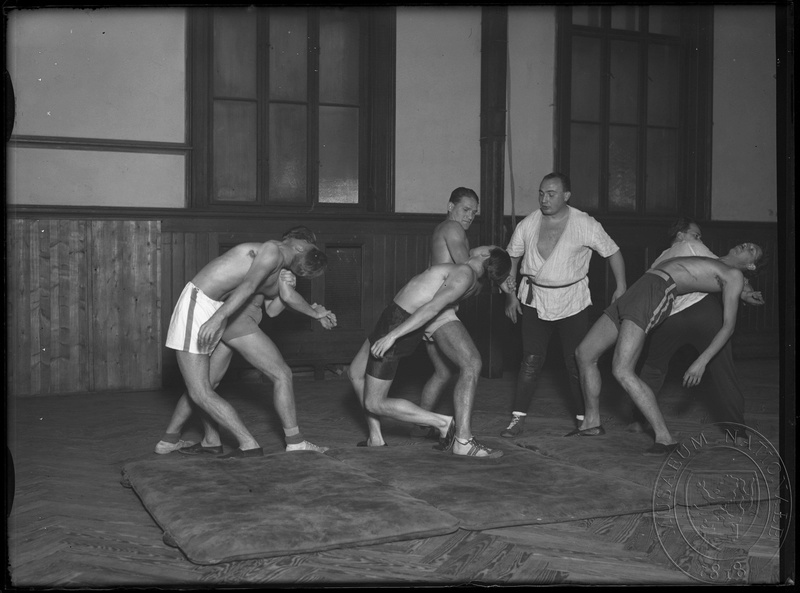 On Saturday, February 17th, 1935 Dobó, together with a certain Stein, had a discussion about Jiu-Jitsu at 14:50 on Radio Prague II. 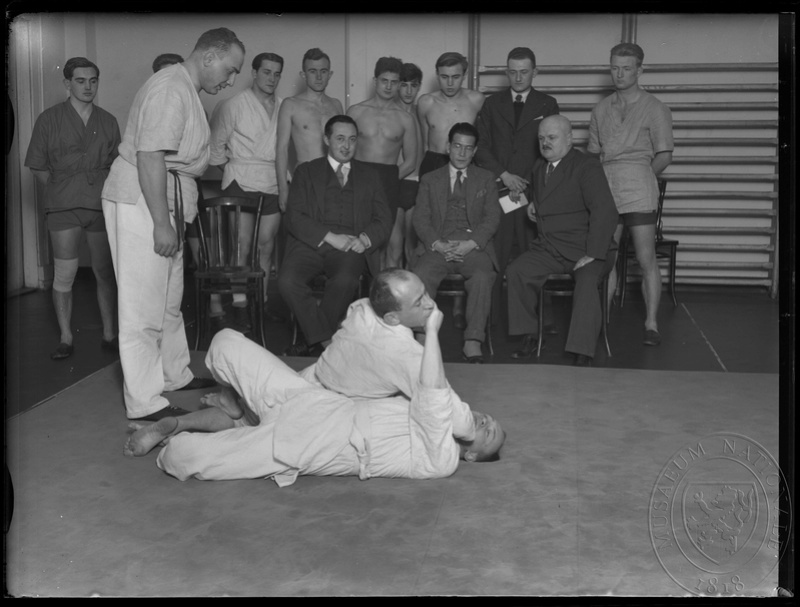 On Thursday, January 30th of 1936, at 18:30 Dobó held a lecture titled "Defend yourself (Jiu-Jitsu)" on Radio Brno. 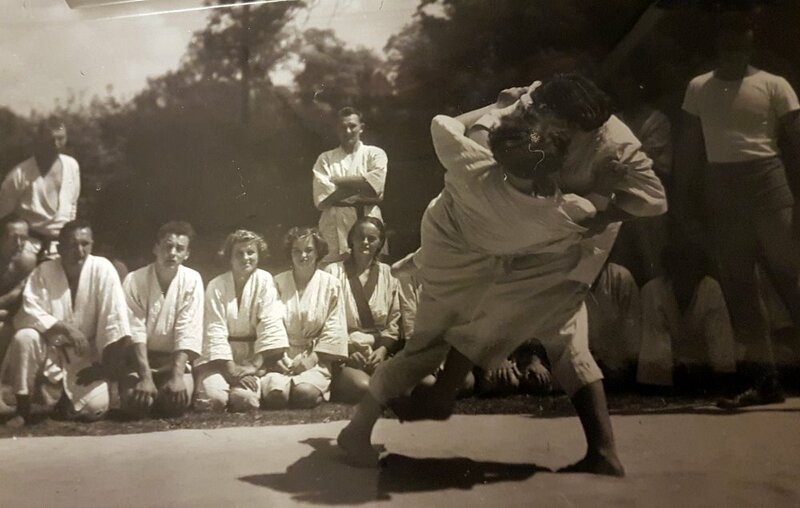 Then there was a radio broadcast on Sunday February 21st, 1936, at 18:40, were Dobó talked about "Something from 'Jiu-Jitsu' " on Radio Bratislava. Sources are different issues of the Viennese radio program guide "Radio Wien". Thank you a lot Robert. 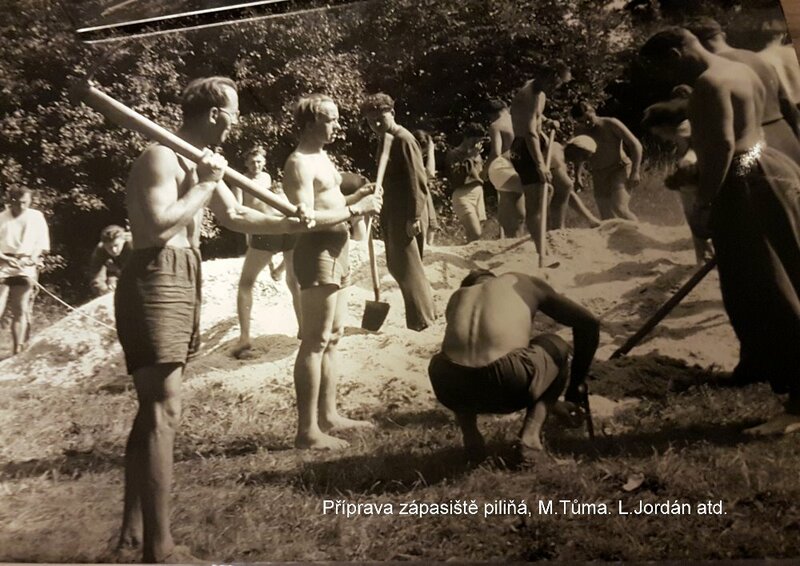 They are from archive of Mr. Frantisek Illek. 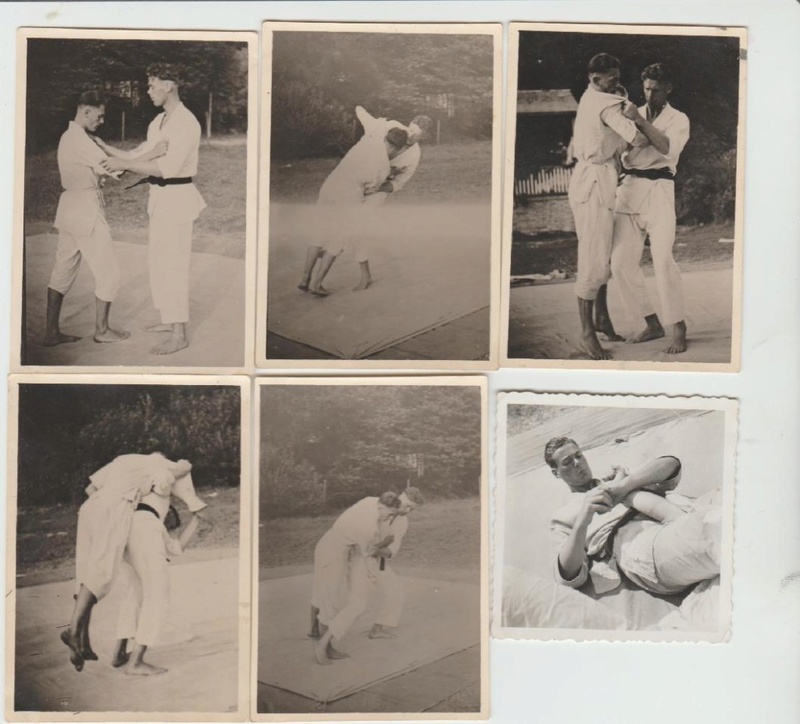 Date of photos 2.11.1934. 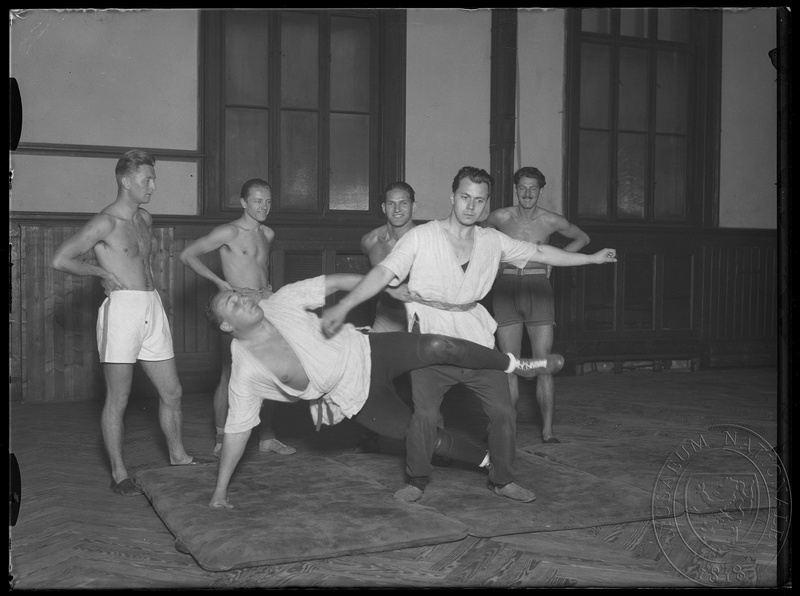 They are from Jiujitsu lessons in Straka academy lead by Mr. F.S. Dobó. 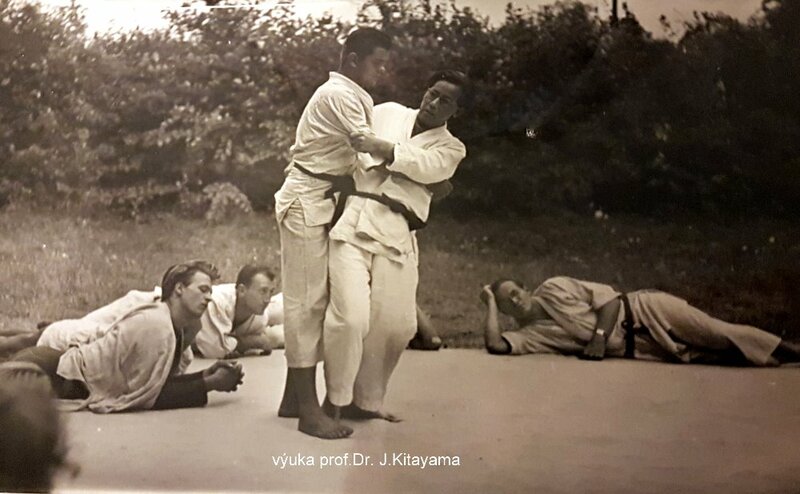 Did you notice, that on those pictures Dobo wears similar wrestling trousers - reinforced with leather at the knees - Higashi Katsukuma and others wore very often, 30 years earlier? Another thing, that did catch my eye, was the "snappish" way, Dobo wore his obi-knot. 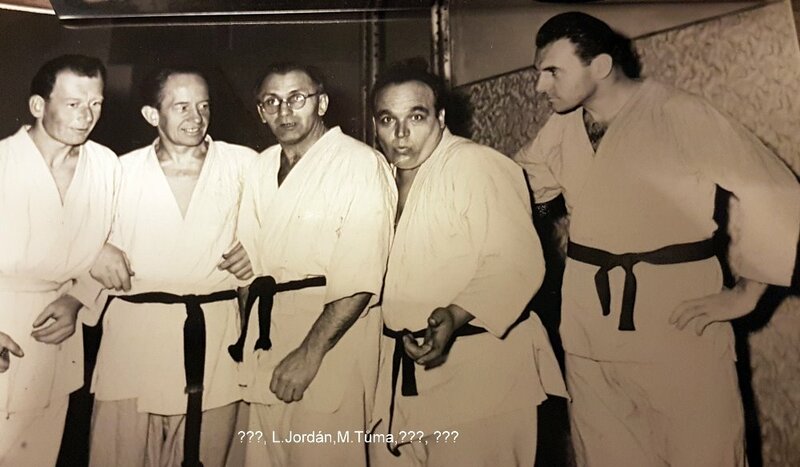 Josef Ebetshuber, a prominent Austrian JJ-teacher, who has started training in 1925, always wore his knot in a similar fashion (more to one side than in the center) the whole life, until his death in 1988. I think that is something, that was in vogue in Europe since the interwar period. 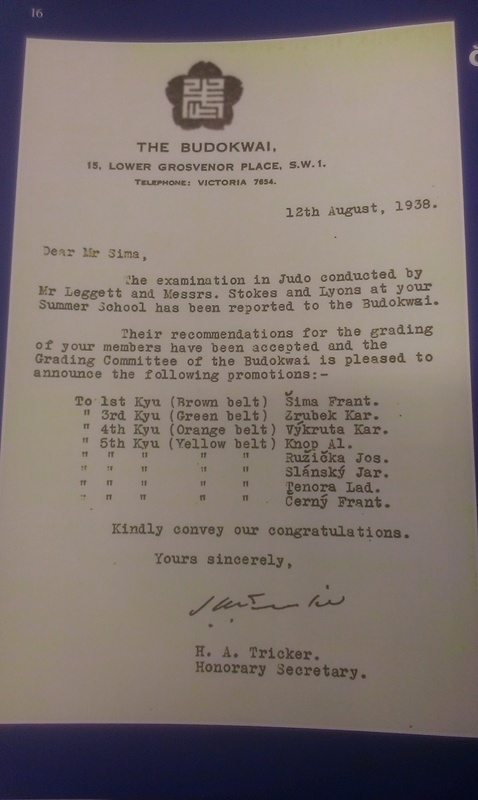 Budokwai kyu grading confirmation from 1938 - summer jiujitsu school in Czechoslovakia under Mr. Stokes and Layons from Budokwai London. A notice about Dobó teaching Jiu-Jitsu to employees of a security company in Brno, that appeared at page 4 of "Tagesbote" from 9. Oct. 1934. 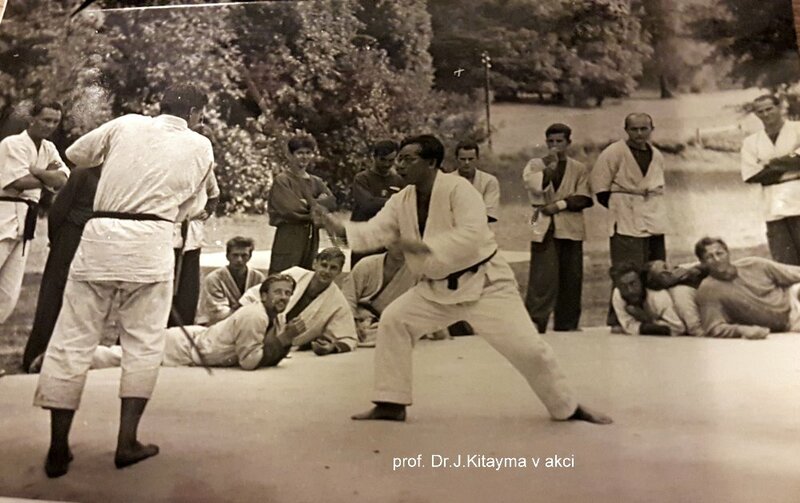 The tatami in the photos made me wince. 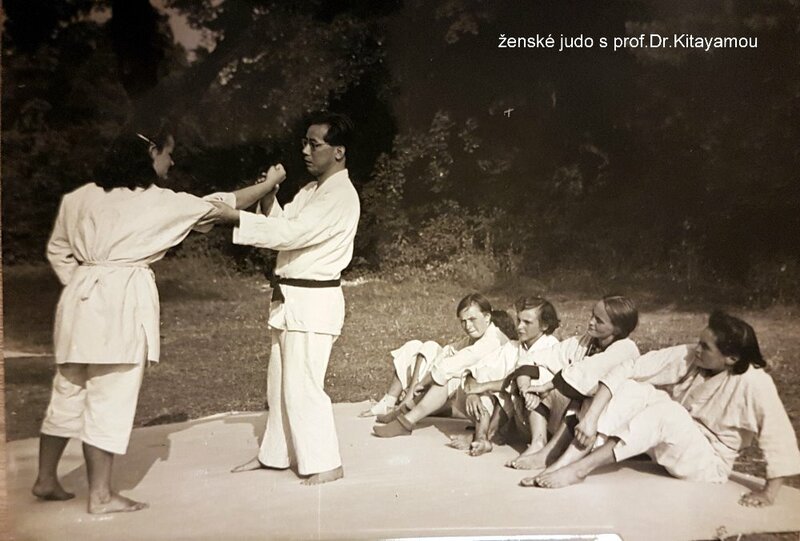 Reinberger wrote: A notice about Dobó teaching Jiu-Jitsu to employees of a security company in Brno, that appeared at page 4 of "Tagesbote" from 9. Oct. 1934. Thank you a lot, I'm sharing it in czech judo people. 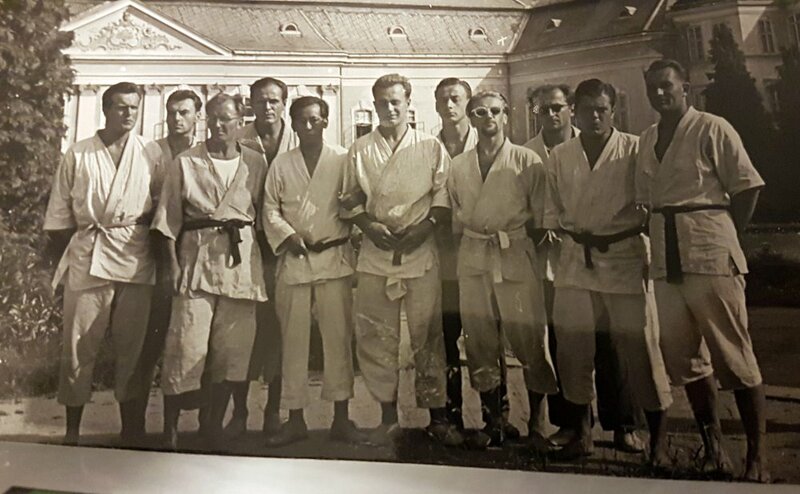 You did a lot for understanding czechoslovak judo / jiujitsu roots. Thank you a lot. Udon wrote: The tatami in the photos made me wince. I think there are old gymnastics mats from leather and filled up cow and horse hair.